Here at Paceprint, we cater for all manner of stationery needs. We print Letterheads, Continuation Sheets, Compliment Slips, Notepads, business cards and envelopes. All of our standard stationery is printed on 100gsm Laser guaranteed bond in full colour. However, for any discerning customers on the hunt for something a little bit more special, we also offer a range of creative materials, including the Conqueror, Zeta or Curious ranges. These come complete with a variety of pantone colour options and finishing styles, including Foil Blocking and Embossing. 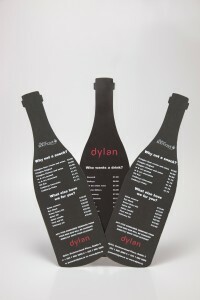 We use several different printing methods to encompass any stationery project ideas from customers. Of course, Lithography, Lithographic Printing, Litho Printing, Offset Printing or Digital Printing are our forte. This method of printing results in premium feel type that is smooth to the touch, has an unimposing, casual feel and can be manipulated easily – through binding and the like.